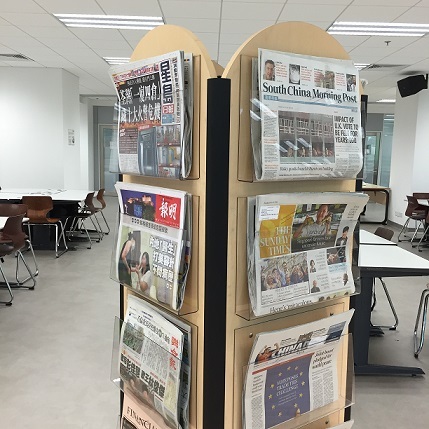 Looking for newspaper articles at HKBU Library? You've come to the right place! Special thanks to staff who helped expand and continuously maintain the newspaper collections at HKBU Library! Whether you are looking for current or old newspapers, in electronic, print, or even microform format, this guide will show you the different newspaper coverage and corresponding format at HKBU Library. In general, current newspapers in print are kept on Level 2 of the Library for 4 weeks. Many of our newspaper also exist in electronic format in databases, which allow easier content discovery by various search functions. Be sure to check them all out in the Current Newspapers tab! Moreover, if you are looking for very old newspapers, you can check out the Historical Newspapers tab as it provides some very useful resources for your research. Hope you find this Newspaper Guide helpful!